I say it’s high time I bake something sweet for the Around the World in Twelve Plates blogger collaboration. 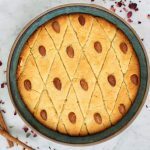 Basbousa is an Egyptian classic cake made from durum semolina and a whole lot of dairy which is also popular in many other Middle Eastern countries. 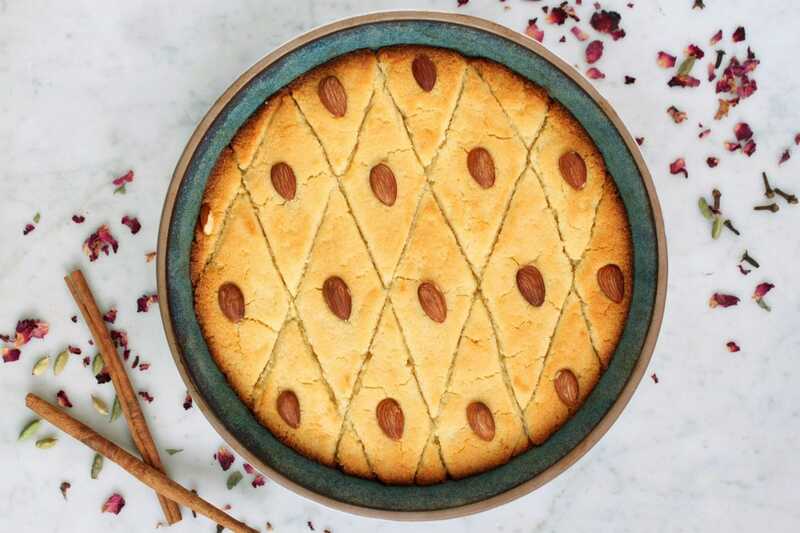 The cake is quite rich with a unique texture but it’s the syrup that provides all the flavour! What is unique about this month’s ATW12P country is that I have actually been to Egypt. Shaun had a work trip to Egypt scheduled in January 2008 and I knew I couldn’t pass up the opportunity to tag along. The company he was working for scheduled private tours for me in Alexandria and I was under the close supervision of several female tour guides. Alexandria is much smaller than Cairo. When I say ‘much smaller’ I am talking in terms of millions of people. Alexandria’s 2008 population wasa just over 4 million while Cairo at that time was around 18 million. Though Alexandria is a popular resort destination for Egyptians, I visited during the ‘off season’ when temperatures were quite a bit cooler (18-20° C). Traffic wasn’t a horrendous nightmare (though really it was pretty much a nightmare anyway compared to where I live!). I was glad we had our own driver even though we found out later he was legally blind. The drive from Cairo to Alexandria is around 3 hours on one of the world’s deadliest highways. We made it there and back safely so I guess he wasn’t so bad after all. I really regret that this trip happened before I started my blog. Looking back at the photos, my skills probably matched the equivalent quality of my camera gear. We stayed in what was the most gorgeous hotel surrounded by the Montaza Palace grounds right on the Mediterranean. Unfortunately my photos are all quite grey, lackluster, and blurry. I visited the modern Alexandria Library which is a much more modern version of the famous antiquities library that was burned down by Julius Caesar. 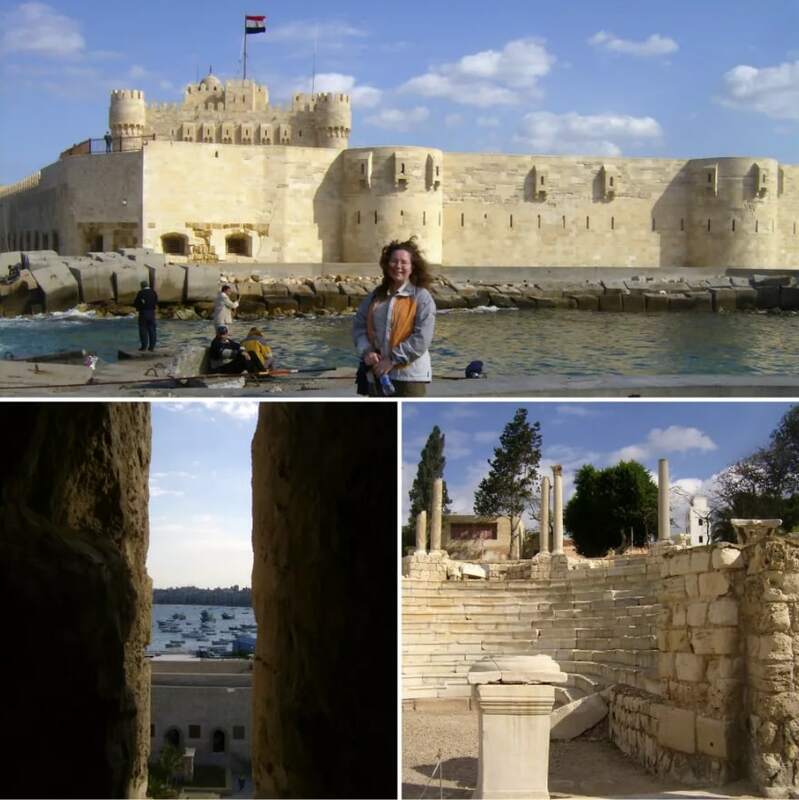 Also on the tour were the Citadel of Qaitbay (a 15th-century defensive fortress established in 1477 AD by Sultan Al-Ashraf Sayf al-Din Qa’it Bay), the catacombs of Kom El Shoqafa (a necropolis which consists of a series of Alexandrian tombs, statues and archaeological objects of the Pharaonic funeral cult mixed with Greek and early Imperial Roman influences) as well as the Graeco-Roman Museum, the Alexandria National Museum, and the ruins of a Roman Auditorium and Bathhouse. realizing that young Egyptian lovebirds flock to Montaza Palace grounds to make out in cars at night. a two hour camel ride in the desert to find a geocache. my hubby’s face after a two hour camel ride in the desert and bribing the gatekeeper to let us back in to the back area of the Pyramids at Giza. After my husband was finished work in Alexandria we had a day to tour around Cairo. Our day began (as one inevitably does) in Giza to explore the Pyramids and gaze at the Sphinx. We had a chance to enter the Pyramid but I just couldn’t do it. I felt there was an electricity in the air; a strange imbalance or feeling of unrest or sadness. I felt it was just wrong to go in. We did climb up to get our photo taken. Those blocks are a lot larger than I thought they would be! Me on a camel explaining how I know there’s treasure in the dessert, The Sphinx, Treasure in the dessert! As far as food went, we had some amazing dinners. The ones that are most memorable to me were the ones that began with crates of fresh fishes on ice. We chose our fish and how it was to be cooked (fried, grilled, etc.) then we were seated. While we waited for our fish, we were fed small but delicious dishes to encourage our appetite. We didn’t ever have room for dessert but always finished with a fresh orange or a mango smoothie. Egypt was where I fell in love with mangoes. Until our trip I had only ever experienced mangoes (which I call Canadian mangoes) that are imported halfway around the world. If I would have had room for dessert I would have chosen a slice of Basbousa with extra syrup. Are you as excited as I am to see what other ATW12P bloggers are up to for the Egyptian challenge? Please give them a visit and show them some love and appreciation! A sweet and satisfying cake with incredible texture. Mix the yoghurt and sugar together in a medium bowl. Add the semolina, milk, and baking powder and mix well. Let sit for at least 20 minutes. 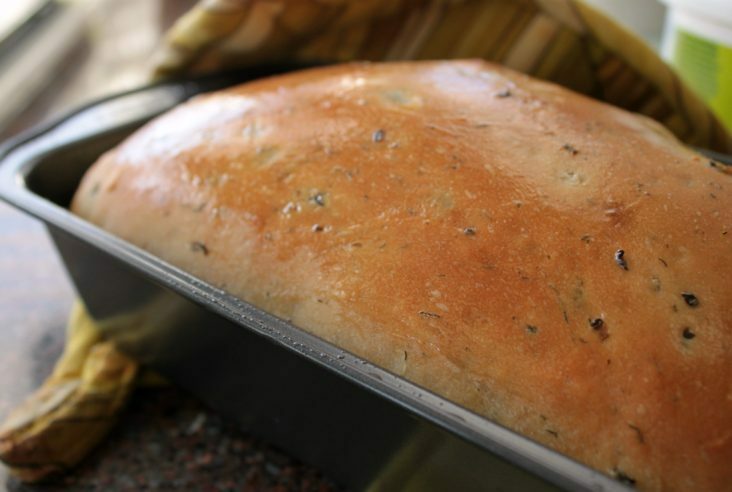 Press into a lightly greased shallow 9 inch baking pan and score the top with a sharp wet knife. Arrange almonds. Pre-heat the oven to 350 F and bake for 45 minutes. 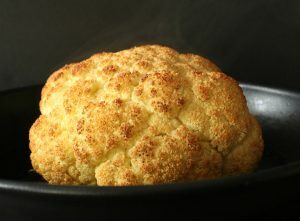 If you want the top to be a nice golden colour, use the broiler for a few minutes. Don’t get distracted!! While the cake is baking, combine the next seven ingredients in a pot and allow to boil. Simmer lightly for around ten minutes, then discard the aromatics. If there is a lot of foam from the honey, you should skim it off. 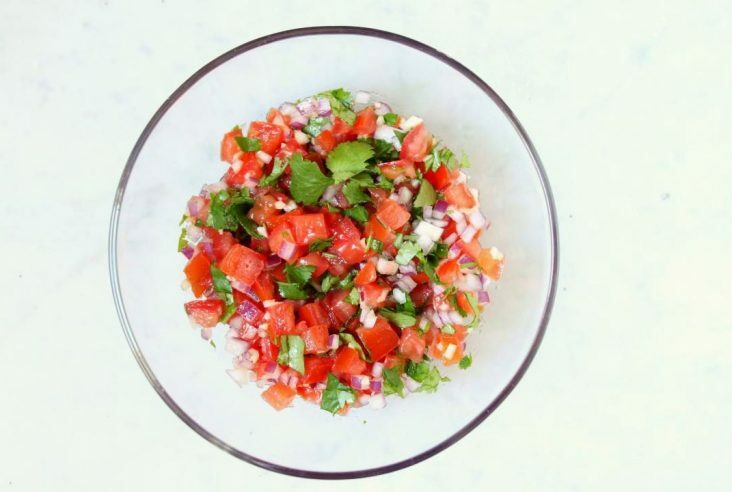 Add rose water to taste…remember a little goes a long way! When the cake is finished remove from oven and pour half of the syrup over top, taking care to coat the surface in an even layer. Serve each slice with a little extra syrup and some strong tea. * I spent two hours looking for coarse durum semolina flour. My 'go-to' place was out and I eventually figured out that couscous would do the trick as it is, essentially durum semolina mixed with water to make larger particles. I threw two cups of couscous in my blender and gave it a whirl for a minute. I ended up with the perfect mix of fine and coarse semolina! Love your pictures, Bernice! I’ve been to the same places and just fell in love with the Egyptian culture…and the food! 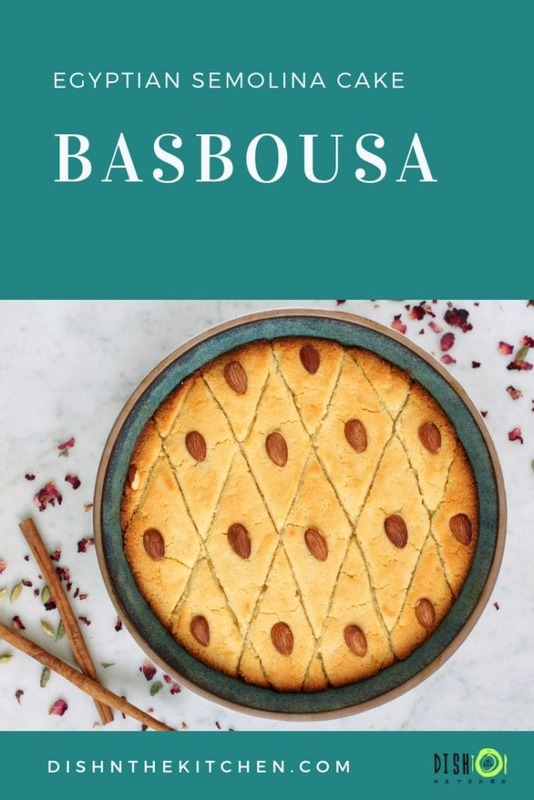 Your basbousa looks amazing! 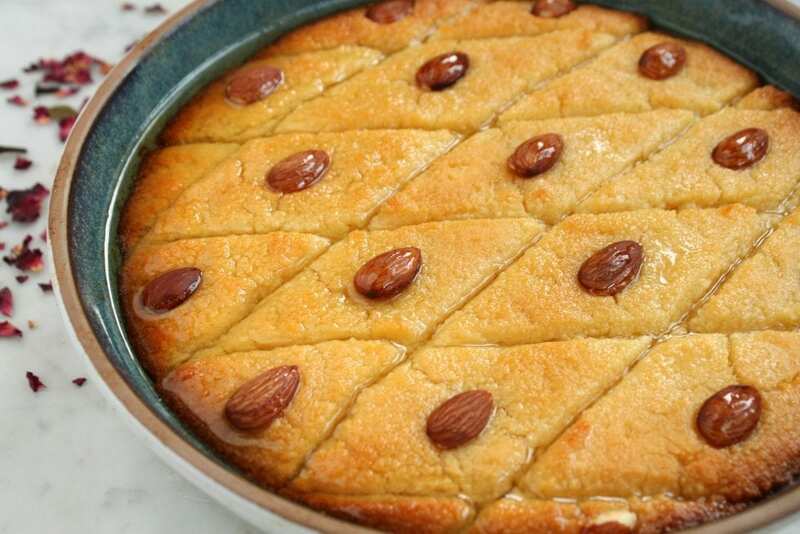 Perfectly cut and soaked in syrup, with beautiful decorative almonds. Great that you came up with the couscous idea! I love how we’ve both been to Egypt! It was an opportunity I couldn’t pass up…and very eye opening. So many people, so much going on. I don’t really remember too much about the food, other than all the delicious fresh fish and mangoes. I never had anything sweet other than fruit but I wish I had explored more.